The winner of Marilyn's book is: tetewa. Congratulations! I'll send Marilyn your email address. Thanks to everyone who participated. 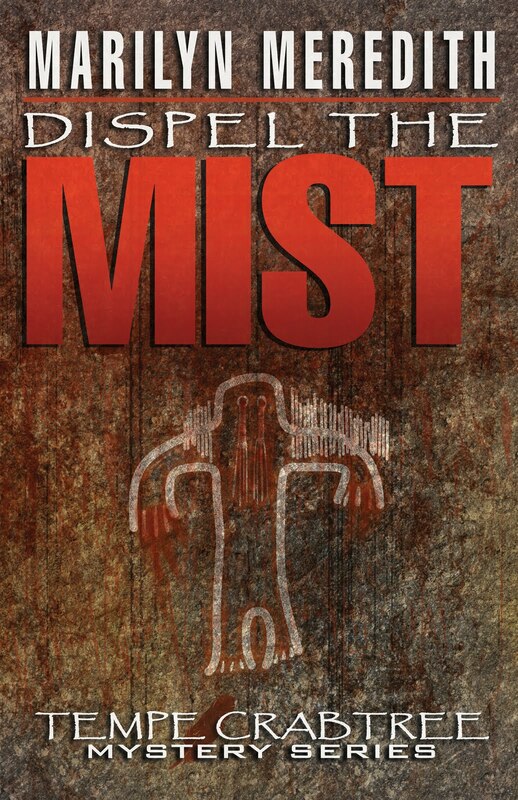 Blurb: In Dispel the Mist, a county supervisor with Native American and Mexican roots dies under suspicious circumstances. Because of Deputy Tempe Crabtree's own ties to the Bear Creek Indian Reservations, she’s asked to help with the investigation, which takes her to the Painted Rock site and the pictograph of the Hairy Man. Is he real or just a legend? In Dispel the Mist, Tempe Crabtree has several dreams that seem to be warnings of things to come. Marilyn Meredith is the author of nearly thirty published books. 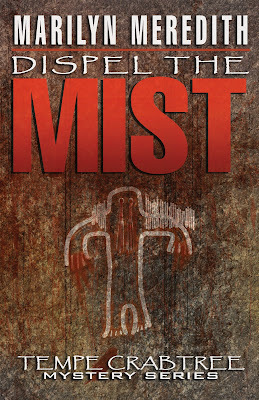 Dispel the Mist is #8 in the Deputy Tempe Crabtree mystery series. #9, Invisible Trail will be available this month. Marilyn will be giving away a copy of her book to one commenter. Her winner will be selected and posted on Tuesday evening. Stop back by to see if you won. Thank you for posting this excerpt. I'm thrilled to be here. Thanks so much for being here, Marilyn! Your excerpt is great. I hope you sell lots of books! Thanks for stopping by, Mariska. Love your name. So glad you stopped by too, I was beginning to feel lonely.